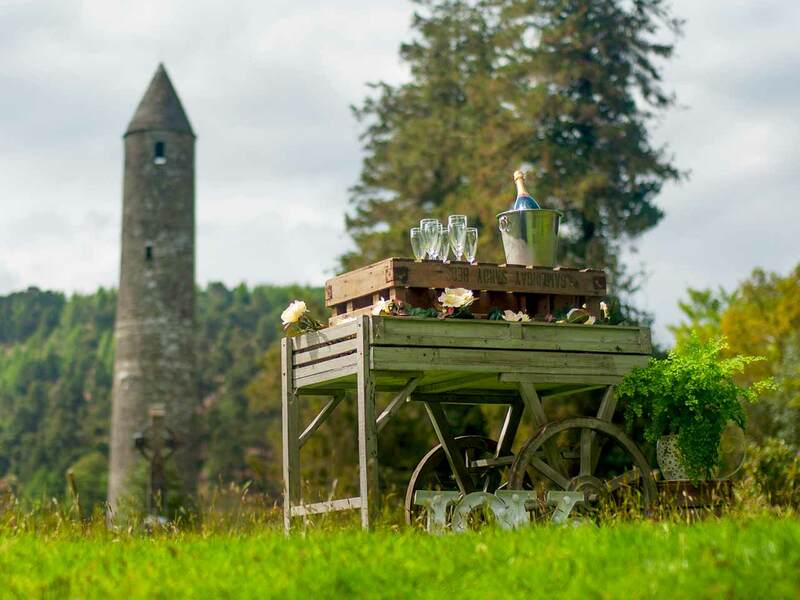 The Glendalough Hotel is located in one of the world's most beautiful valley’s, this really is an idyllic setting for your special day. When St Kevin chose this valley way back in the 6th Century he knew a special place when he saw it. Our upper Garden offers an unbelieveable setting for photos, the natural surroundings say it all so you don't need to add too much but you can dress the garden for your guests and include your own romanitic touches. Our Upper Garden overlooks the Monasitc Site on one side and is surrounded by the Montains on the other sides. There really is no other venue like this in the world. In summer we can offer a tasty BBQ for your after party. 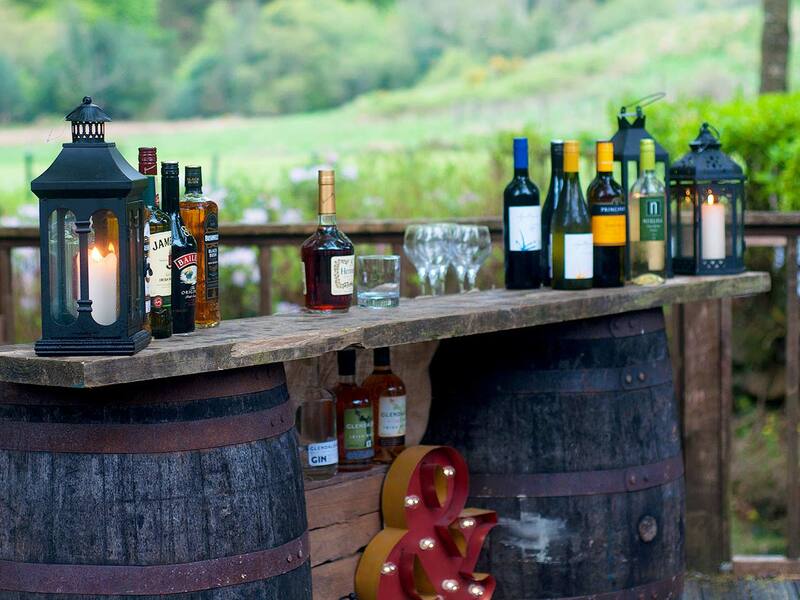 To make sure all of our guests get to really experience the fresh air and views, there is an outdoor Terrace surrounded by Trees as well as a covered terrace at The Glendalough Suite. The Glendasan River resturant is over 100 years old and harks back to the days of elegant travel and great quality food. The restaurant is uniquely located on the corner of the hotel overlooking the Valley and the Monastic site. The river meanders down from the lakes under the bridge and past the restaurant adding to the sense of place that make this a gorgeous and very romantic setting for after parties. Caseys Bar and Bistro has everything you could want in an Irish Bar, open Fire, Pool table and lots of areas that we can reserve for your party. If you want a casual atmosphere where you can catch up on the events of your big day, Caseys is a great place to do that. The Bistro menu is full of old favourites and new and we can tailer a menu to meet your own requirements. Give our team a call and we can talk through some ideas with you.